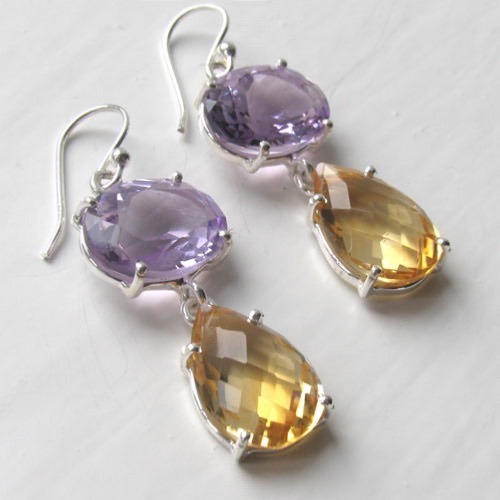 Citrine and amethyst droplet earrings. 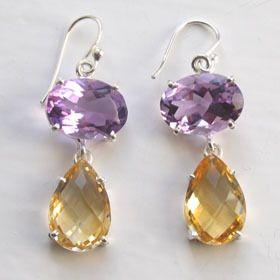 The stunning gemstones drop and dangle from the hooks and glitter as they catch the light. 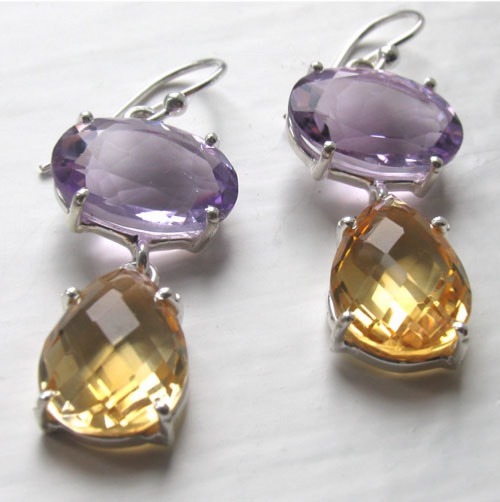 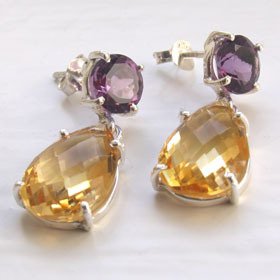 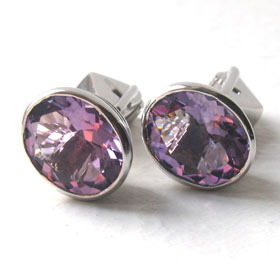 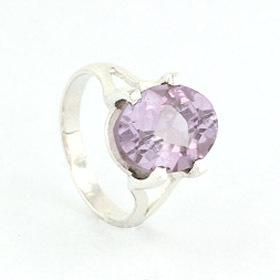 The amethysts are diamond cut ovals and the citrines are checker cut pear drops. 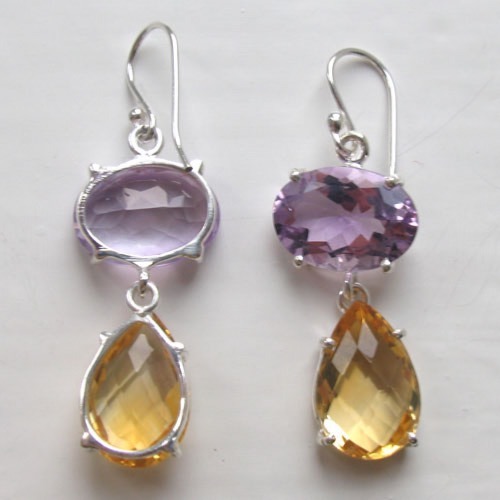 Both are claw set in sterling silver. 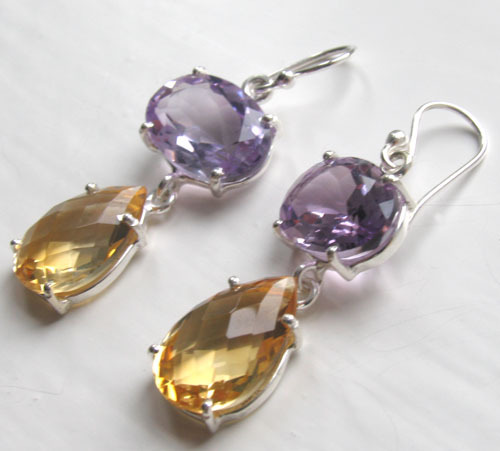 These gemstone earrings combine a beautiful soft purple amethyst with a gorgeous gold citrine. 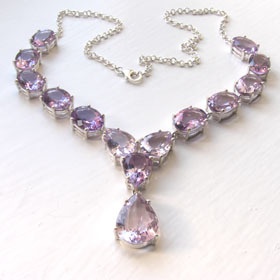 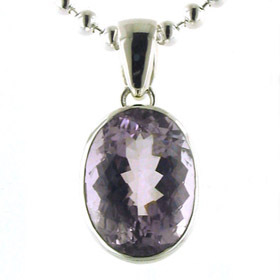 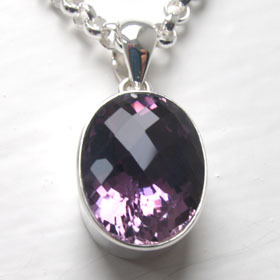 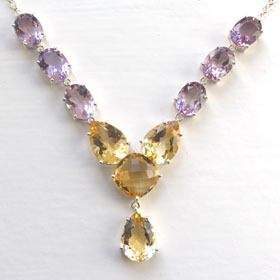 See our citrine and amethyst necklace, Lettie for a matching set. 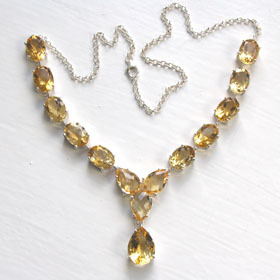 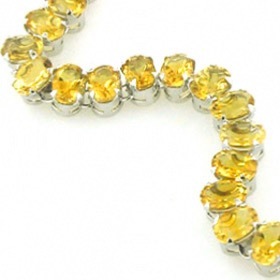 Citrine is the November birthstone - see all citrine jewellery.